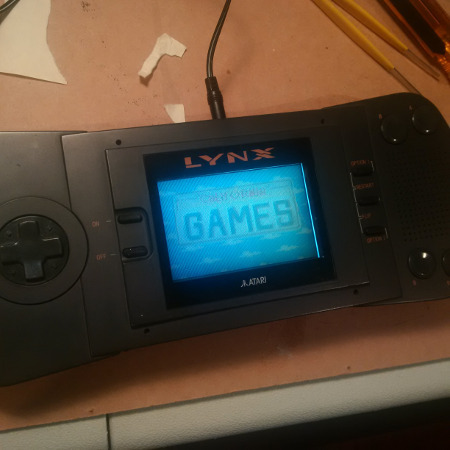 The Atari Lynx was the first hand-held video game console to feature a colour screen. Its repertoire included many great arcade ports. 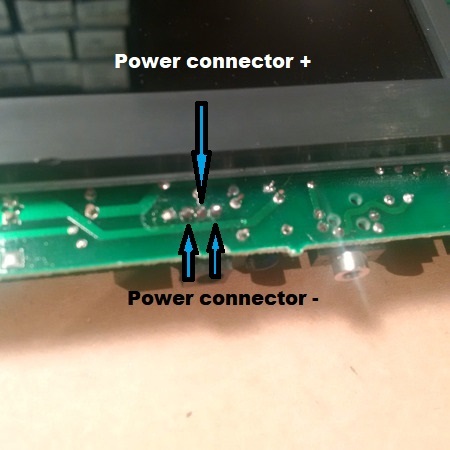 Its weak point was its internal power connector, which was fixed in place by its three pins arranged linearly. 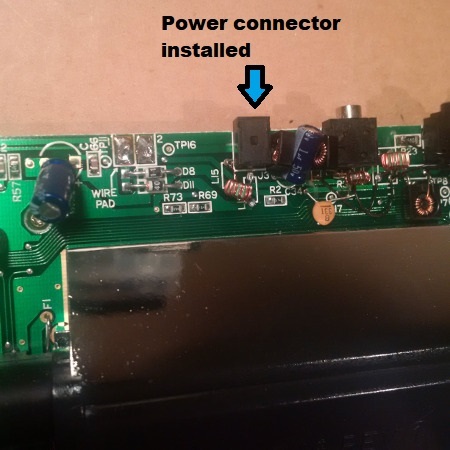 Due to being soldered in a straight line, the three pins were structurally unsound - the power connector snapped off if the power plug was inserted with even moderate amounts of force. If you use a third-party power adapter, make sure it can supply at least 400mA of current. In terms of voltage, I have tried and it - at least the model 1 - will work with any voltage between 8.5v and 12.3v. Of course, it's best to be near the 9v spec. 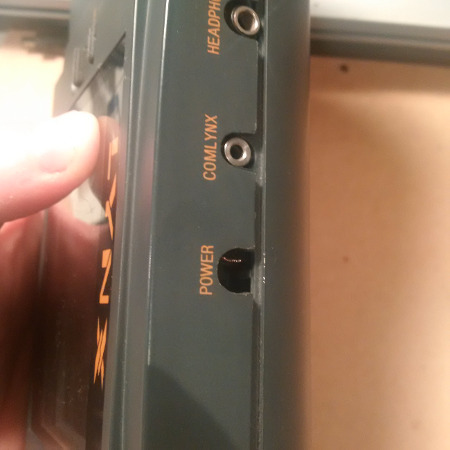 You can see the hole through which the power plug will be inserted, once the power connector is installed. 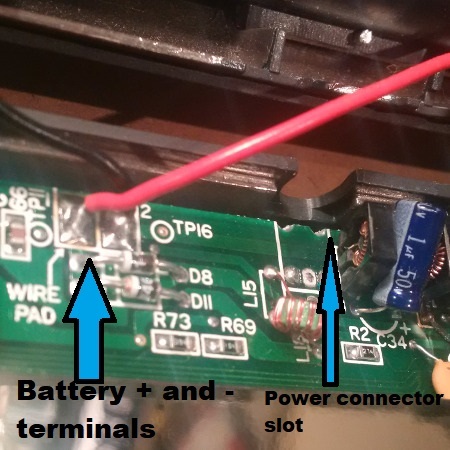 I had to desolder the + and - wires from the battery compartment so they're not in my way. 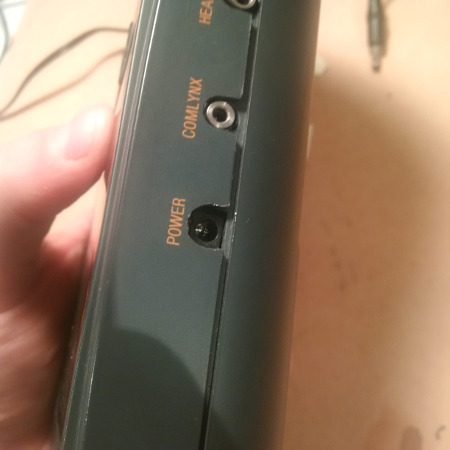 For some reason, someone had soldered a wire between the two - pins of the previous power connector. 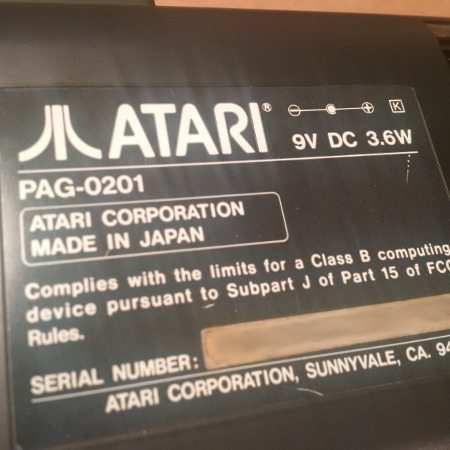 My guess is that the power connector previously installed didn't have both - pins connected. These are the three pins I soldered. 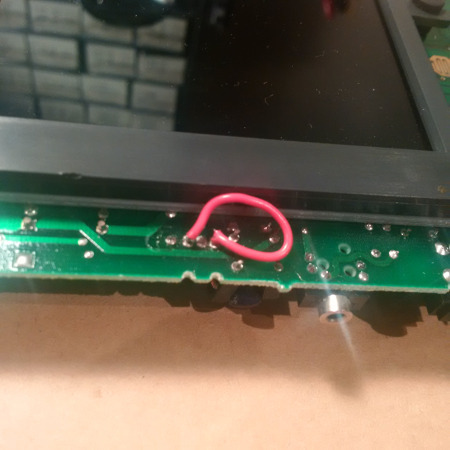 Previous (broken off) pins were still in there, so I pushed with the soldering iron tip on one side, while desolder-pumping from the other side.